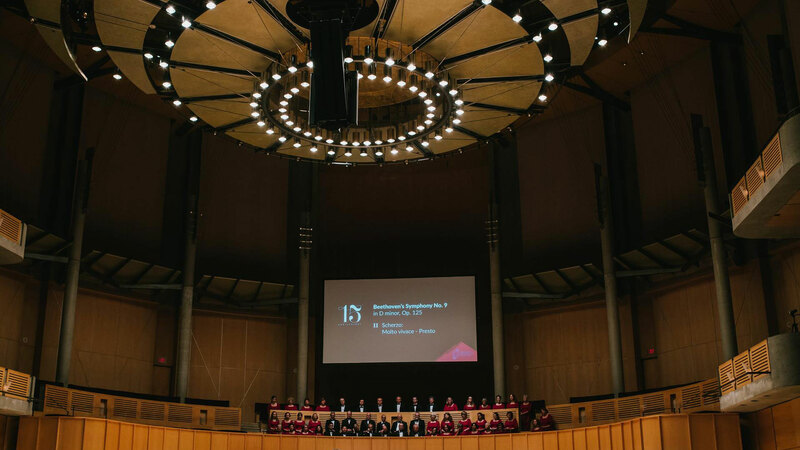 The Vancouver Metropolitan Orchestra is a non-profit society founded by Maestro Kenneth Hsieh. 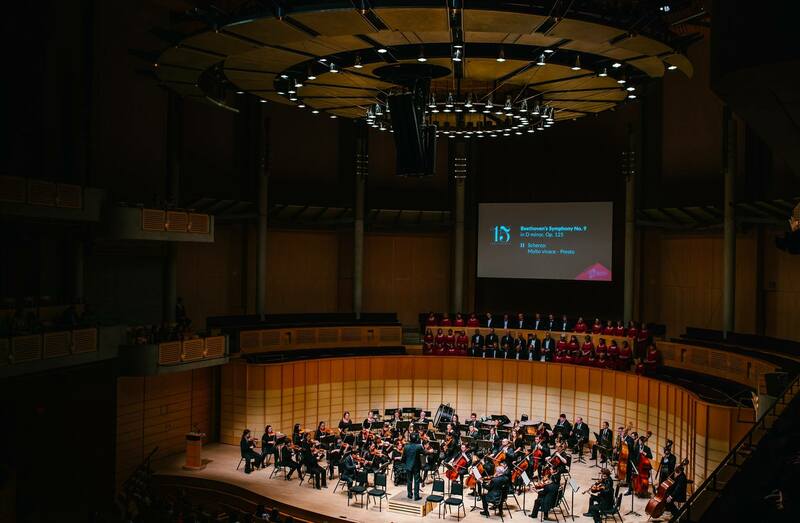 Since its inception in 2003, the Vancouver Metropolitan Orchestra (VMO) has been dedicated to providing superior orchestral mentorship for talented music graduates, helping them move from student to professional. Being a non-profit organization brings the challenge needing to be creative and effective in our marketing efforts. With 15 years of history, finding different angles and ways to tell stories that can connect with the audience are the problems we had to solve. 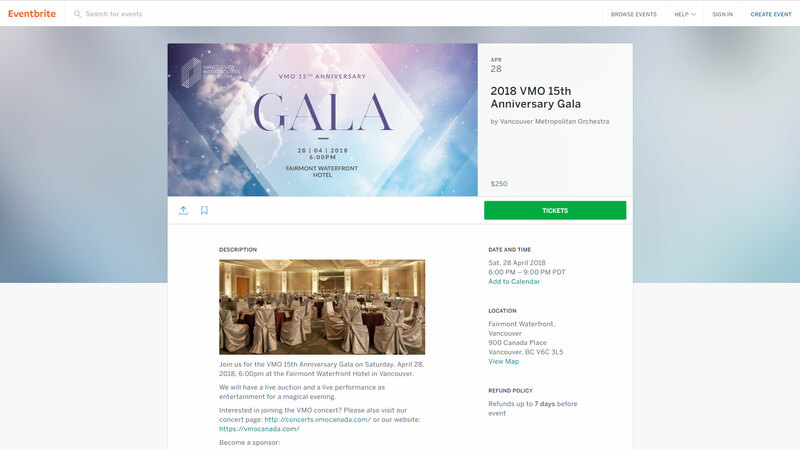 We brought a systematic way of marketing to the VMO in creating original art to represent each concert; from graphics, social media posts, website design, video production and more! We found that to resonate with the audience, we have to tell a story that brings them closer to connect with the brand. We have created videos that feature musicians from the orchestra and found out what inspires their passion for classical music. 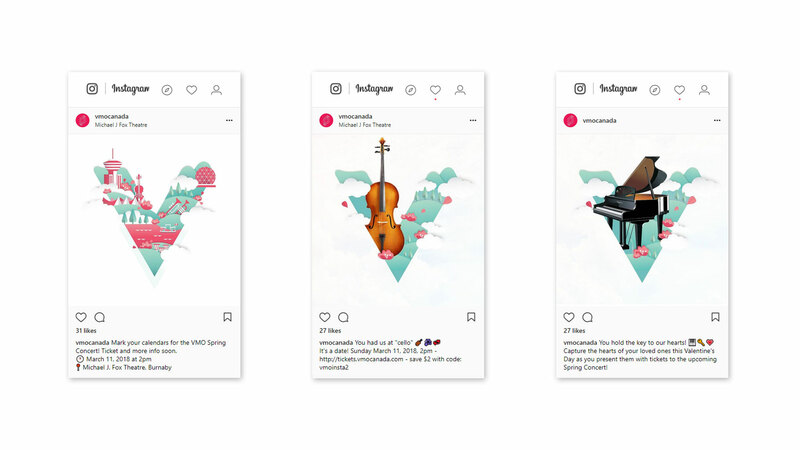 We help the VMO manage their social media platforms in full scope from idealization, content creation, original art assets, delivery schedule and result monitoring. 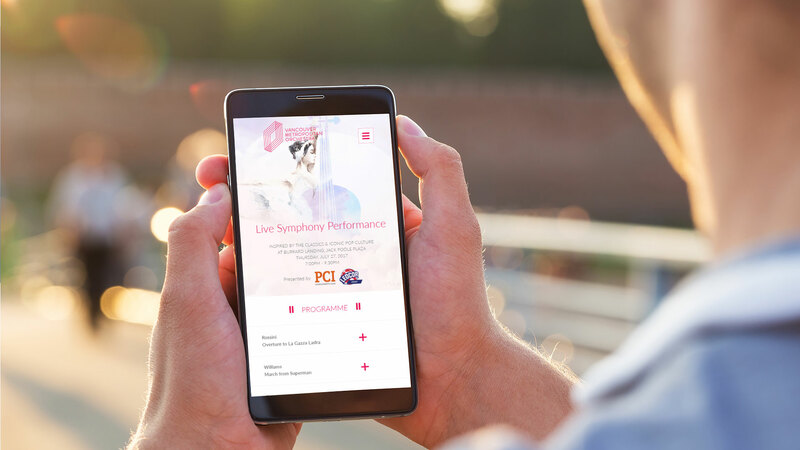 We create digital concert programmes, specifically designed for mobile devices for events such as the annual VMO live symphony outdoor concert. 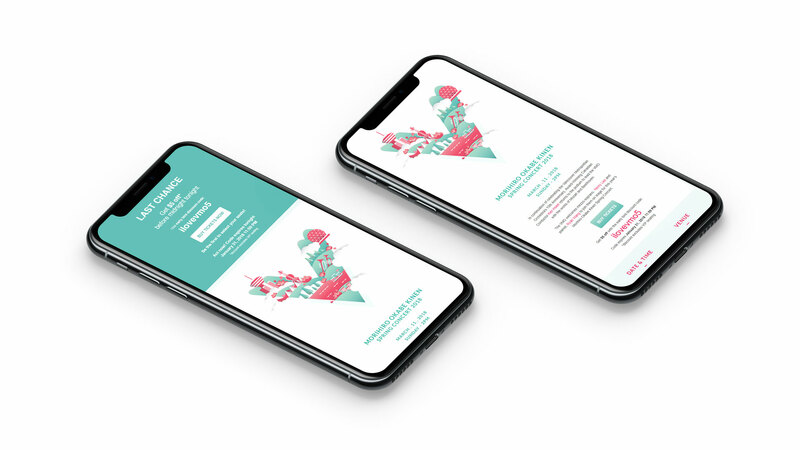 For ticketed events, we make use of Eventbrite for a seamless ticket purchasing customer experience, which also helps with inventory management. For concert performances, we design the content on the digital screen that displays information regarding the performance pieces and the history behind them. 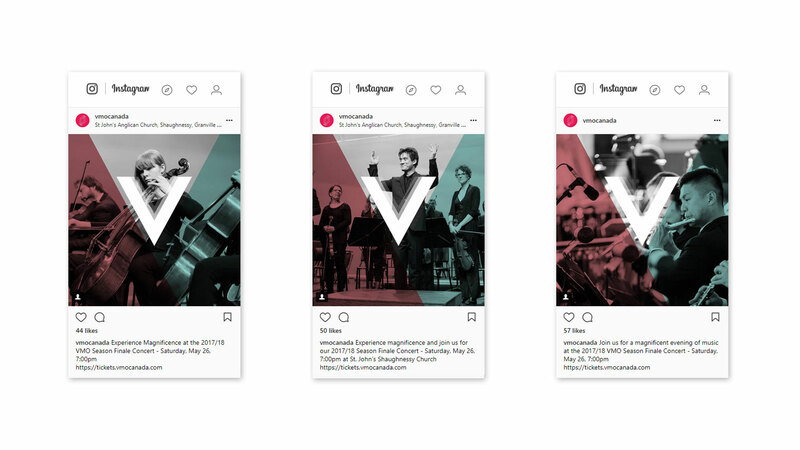 At every concert we engage the fans and encourage them to tweet and post live @ #iloveVMO. We look for ways for people to connect with musicians that are part of the VMO family. A series of video showcasing members of VMO and hearing about their inspirations and passion. The PX Video production team creates engaging and professional animated videos as part of the resource section content. We work on the storyboard, provide the art direction, use on-screen talent, voice over, sound capture, animation, and all tasks that spans the entire video production process. We utilized online video platform that works for users in China as well as the rest of the world. The VMO has shown a tremendous increase on ticket sales, concert attendance and social media since PX Human's involvement in boosting the marketing effort. The VMO continues to gain popularity in the classical music scene and is a cornerstone for young musicians in the community.